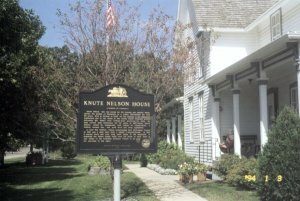 A group of visionary citizens spearheaded what became a determined and eagerly supported effort to save Knute and Nicolina Nelson's house from demolition in 1985. The outcome was that the house of this revered Statesman was moved to another spot, still on the original homestead land, and because of his national importance, it was kept on the National Register of Historic Places. Beginning in October 1987, this house now located at 1219 Nokomis Street in Alexandria, became the present headquarters of the Douglas County Historical Society. Today the Society is YOUR starting point to work on family genealogy, business history, community presentations and more. The Douglas County Historical Society is the home to extensive historical and genealogical resources. Histories of townships/villages, churches, cemeteries, schools, family files, obituaries, marriage write-ups, plat maps, birth, death, & marriage indexes from the Douglas County courthouse records, census records, and 125 years of area newspapers are just a few of the materials that can be found in our research library. Educational resources include slide show programs of each towns/villages in Douglas County, oral history interviews, a photo collection, materials for identification of significant buildings and sites in Douglas County, a vintage clothing and uniform collection, and several books on the history of Douglas County. Members and non-members are welcome to come and do their own research or we can do the research for you. Knute Nelson was born in Voss, Norway in 1843. He came to Douglas County as a young attorney in 1871 and established a homestead and law practice. 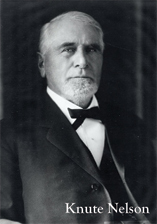 Knute Nelson was elected to the Minnesota Legislature and served two terms before becoming the state's only foreign-born governor. Following his service as Governor of Minnesota, Nelson held office as a United States Senator, with distinction, for 28 years. He championed such causes as conservation, a federal income tax and pure food and drug legislation. Knute died on a train en route from Washington D.C. to his beloved home in Alexandria in 1923. 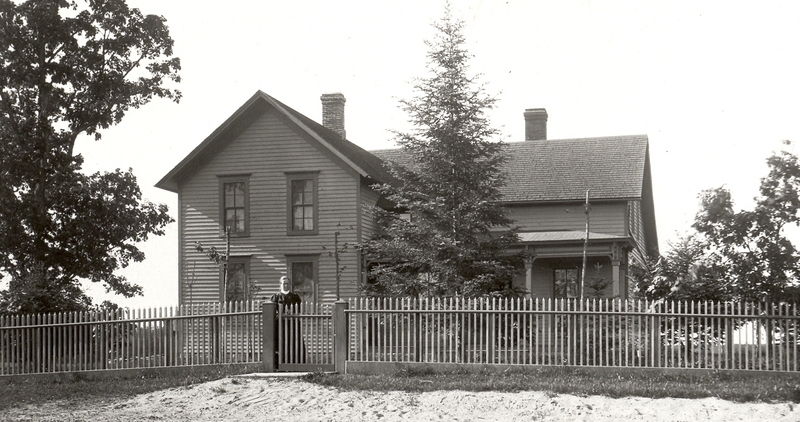 The Last Will and Testament of Knute Nelson provided that following the death of his only surviving child, Ida, the residence be given to the Norwegian Lutheran Church as a Home for the Aged. The house served as Knute Nelson Nursing Home for many years. In 1978 the house was listed on the National Register of Historic Places. Knute Nelson's life was one of public service. The house they built now serves the public as the headquarters of the Douglas County Historical Society. 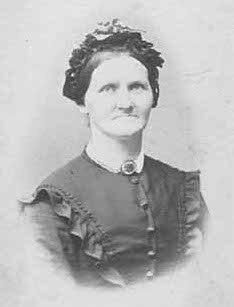 Ida G. Nelson (1867-1942) married but had no children. Henry K. Nelson (1871-1908) died of tuberculosis at age 37. During Knute Nelson's time as a United States Senator (1895-1923), Knute, Nicoline and daughter Ida would live in Washington DC, and return home to Alexandria in the summer months. Nicolina died in 1922 in Washington DC at the age of 75. Knute died one year later.